While it’s unlikely this website will ever have any new content, it’s just too hard to completely let go and detach. So since it’s sitting here, unloved but not entirely unwanted, it might as well be productive. If you’re here, reading this, go check out Dear TV. Since I already wrote an About page for my newest baby, I’m not going to repeat myself here. Repetition is lame. Repeating yourself is silly. Saying something more than once is ridiculous. Empire‘s “Out, Damned Spot” was filled with bits of nostalgia, including Courtney Love’s character covering “Take Me to the River” and Lil Kim’s classic the “Jump Off” soundtracking yet another amazing Cookie moment. The best, and potentially easiest to miss, was Raven-Symoné’s return to television…as Olivia. 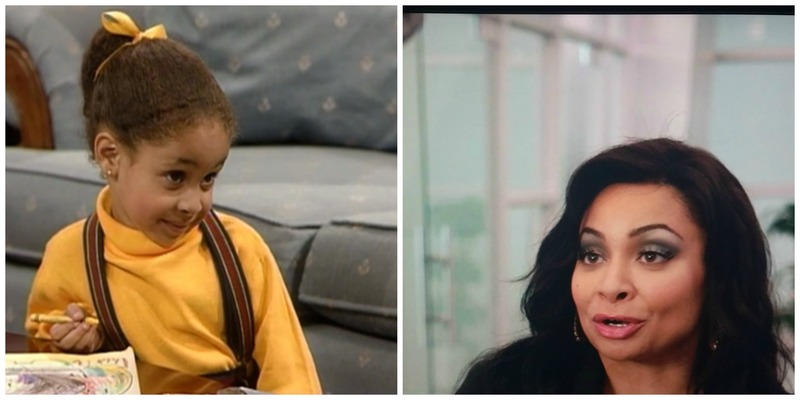 Cosby Show fans, you’ll remember Symoné as adorable Olivia, Martin and Denise’s daughter. The writers clearly did that on purpose, so it’s only right that we acknowledge the name and move to focusing on what this will mean for Jamal. Parenthood was never a popular show. There were never any inside jokes that you would only get as a fan. The show never spawned a thousand ships (aside from all the love for Amber and Ryan) and it was never part of the must-see line-up that NBC was once famous for. But any fan of Parenthood will tell you it was amazing. Sure, the Bravermans weren’t particularly realistic and their trials and tribulations weren’t always relatable. Yet, you still felt that their closeness was genuine and their flaws, which ranged from Amber’s early years of self-destruction to Zeke’s incessant pigheadedness, were perfect. The show’s particular brand of quaint, family drama won’t likely grace television again in the near future, but we’re just happy to know that Mae Whitman’s career will be long and varied. As we mourn the loss of Parenthood and a character that Whitman truly made her own, here are her most disastrous romantic moments, by season. Although Haddie was basically insufferable until she started dating Alex, Amber still displayed a blatant disregard for the Girl Code (and the often unmentioned Cousin Code) by sleeping with Steve. Who can blame Amber for falling for young politico Bob Little? Yes, this was a silly career move…but it was only silly if anyone ever truly believed that Amber wanted to follow in Aunt Kristina’s annoying footsteps. It was obvious from day one that Ryan was going to play a major role. Their love affair was always a bit tortured and things only got worse when Ryan reenlisted, but somehow, Amber never reverted back to her wild child ways. Their ending wasn’t particularly romantic, but the show gets points for providing fans with closure. 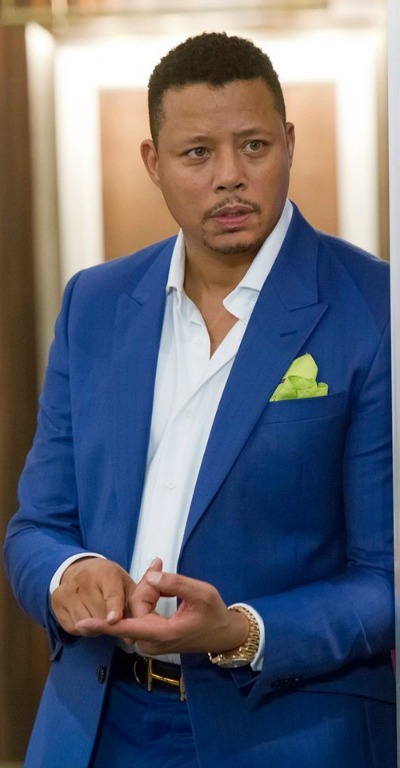 Aside of the general nighttime soapiness of each scene, one thing that stood out with Empire‘s first episode was Lucious’ (Terrance Howard) look. Specifically, Lucious’ perfectly coifed hair and ability to pull off satin scarves effortlessly. Maybe the change was accidental. Maybe it was supposed to go unnoticed. Maybe it’s symbolic and denotes a shift in character development that occurred after the first episode. The most likely reason for the change? The producers simply realized that what worked for the pilot just wasn’t a good fit moving forward. 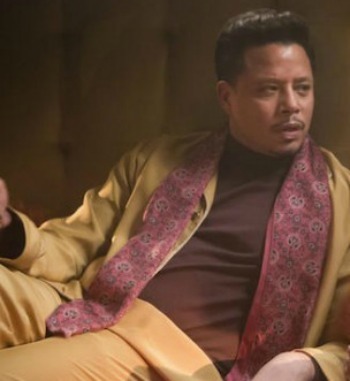 Although the pompadour and linens seemed slightly out of place for a show that’s otherwise very modern, we’ll miss pilot-episode Lucious and hope for a glimpse of him next season.